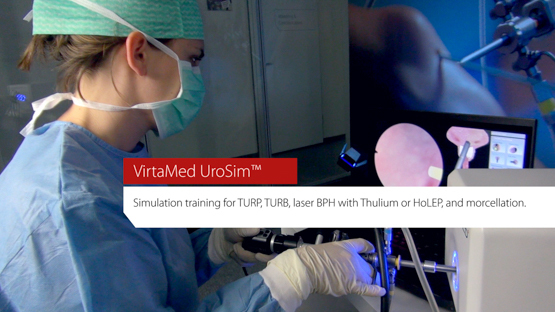 VirtaMed UroS™ provides simulation training for TURP, TURB, laser BPH with Thulium or HoLEP, and morcellation. During the training, urologists learn how to master instruments and manage complications without involving live patients. Didactic content and expert movies exemplify best techniques. Individual courses allow for personalized urologic surgery training. The TURP module offers urologic surgeons a very realistic training with a wide range of prostate anatomies, pathologies and operative complications. The basic skills training with outside views guides the trainee and shows the important landmarks used for orientation. Color schemes mark the sections where to resect - and where to stop. Thus, urologists can practice to perfection without any risk for the patient and then transfer this experience to the OR. VirtaMed UroS™ comes with a Simbox platform, which can be mounted on a nice display cart with high-end PC and height-adjustable 23” multi touch-screen. It can also be used as a mobile, stand-alone version at conferences or during training sessions. Virtual reality (VR) surgical simulators provide repetitive practice and performance feedback without requiring supervision in a safe environment. Simulators have the potential to shorten the learning curve for complex surgical procedures, create skills which transfer to the operating room and therefore decrease the incidence of future complications. Experts resected a significantly greater percentage of prostate per minute [...] and had significantly less active diathermy time without tissue contact [...] than novices. After the introduction of simulators in urology, education in urology has evolved significantly. Specially in endourology, development of Transurethral Resection of Prostate (TURP) skills are shifted from “direct on patient” to simulator based learning. 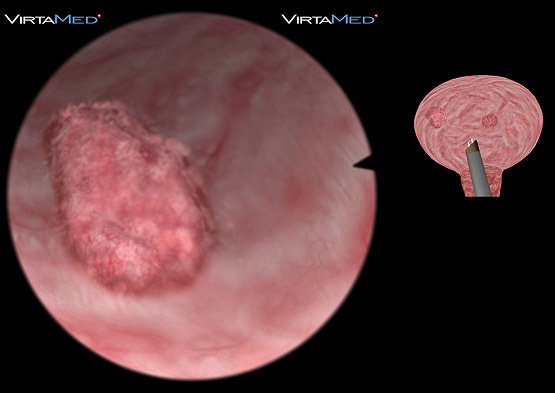 we evaluated the development of TURP procedure skills based on virtual reality simulator (VirtaMed | UroSim™) and assessment of skills based on Global Rating Scale (GRS) evaluation system. 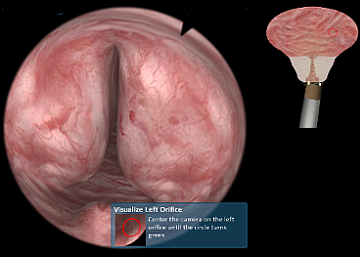 As a new method of training on transurethral prostatectomy skills, training of TURP using a virtual simulator can help urologists improve their surgical skills and safety. 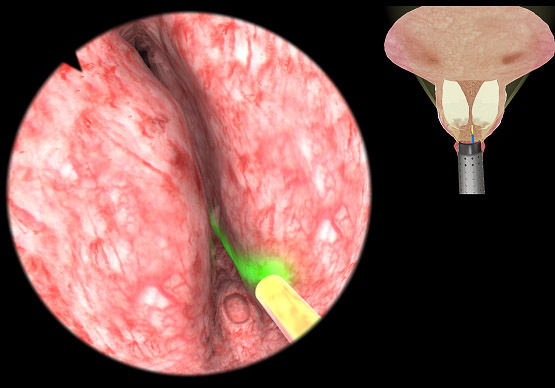 Therefore, the application of the TURPSim™ system in education and training of urologic surgery is warranted. The HELIOS Hospital Group consists of 110 acute and rehabilitation facilities with about 34.000 beds and more than 69.000 employees. The departments for urology and gynecology train a large group of residents each year until they complete their education as medical specialists. 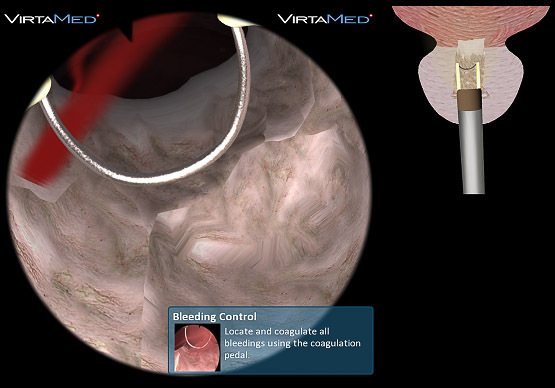 In 2011, HELIOS included VirtaMed's virtual reality simulators into their standard curriculum for residents in training. E.g. in each urology department, a simulator is placed at the disposal of each clinic for six weeks each year. During this time, the head physician conducts a training program. 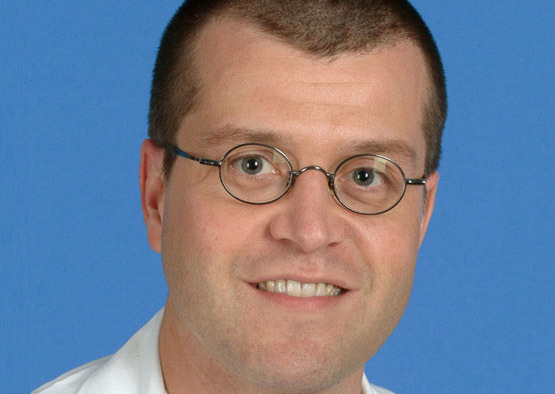 In his or her first year, every surgeon who wants to conduct transurethral resection has to perform 50 documented procedures on the simulators. How could you use our urology simulator? Just get in touch for a personal demo.